The driver experience was the key factor in designing the new UltraLoft. By optimizing the space available, the new sleeper model includes industry-leading storage and comfort. The UltraLoft gives drivers the largest upper and lower bunk mattresses, best-in-class headroom in both bunks and some creature comforts of home with space to accommodate the industry’s largest microwave and enough room to fit a 32 inch flat screen TV. The improvements are not limited to the driver experience. The UltraLoft provides an estimated 2-percent aerodynamic improvement to push the limits of efficiency even further while maintaining the styling and bold look of the Model 579. “Throughout the design process we asked ourselves, what is best for the drivers to be the most comfortable and productive? 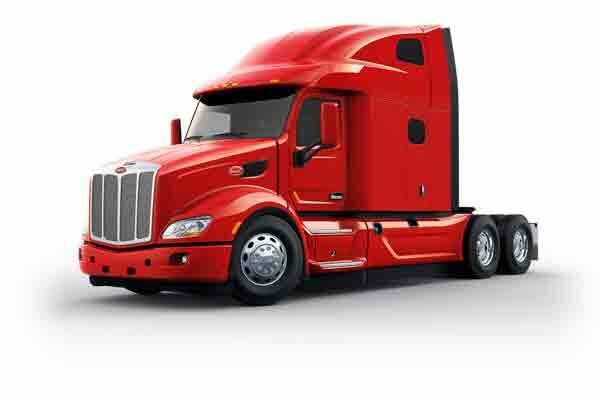 So, we added headroom, storage and improved the overall space to maximize the driver’s experience,” said Scott Newhouse, Chief Engineer, Peterbilt Motors Company. “The expansive loft style space, the increase in efficiency and the reduction in overall tractor weight are a testament to the team’s focus on maximizing the driver experience.” The 579 UltraLoft is available for order now and production scheduled to begin in the summer.